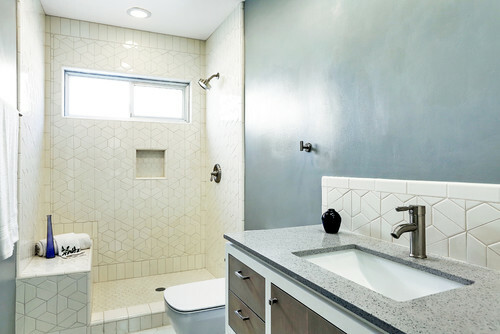 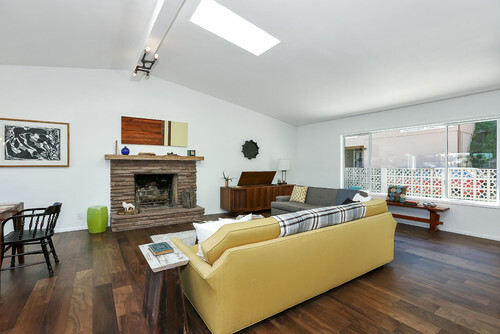 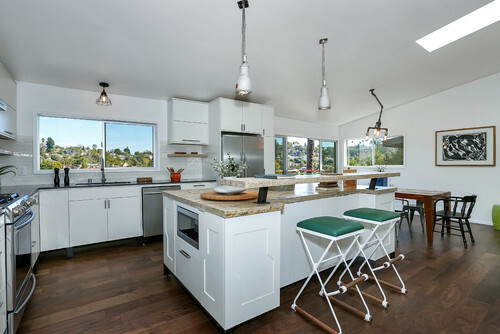 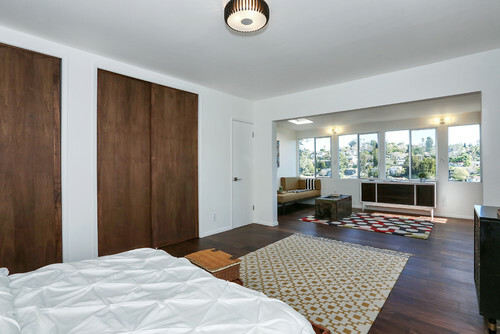 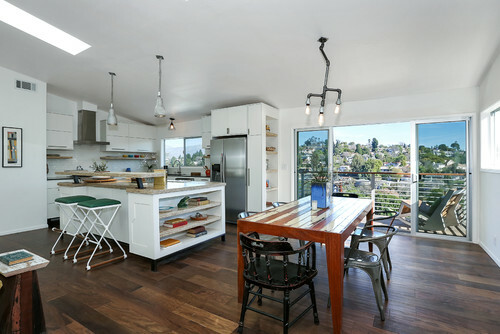 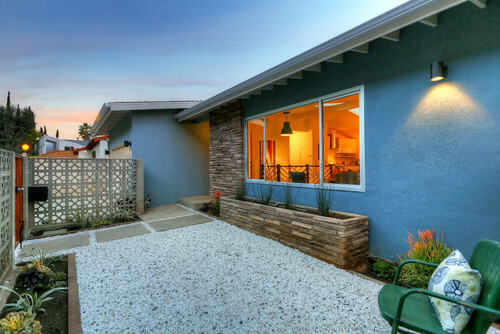 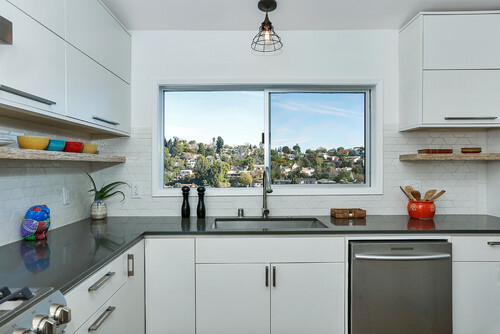 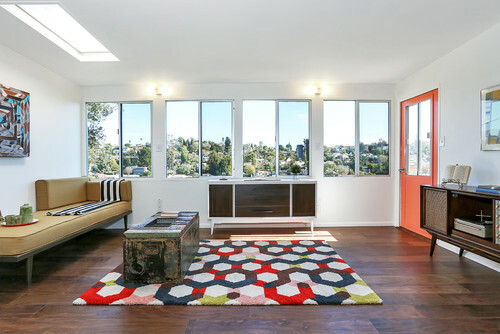 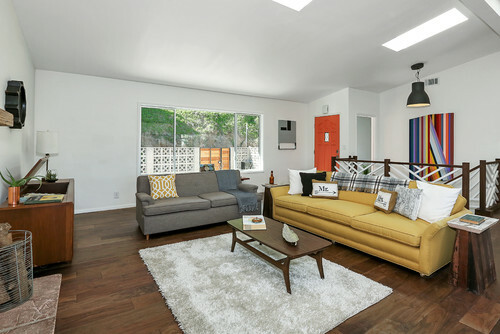 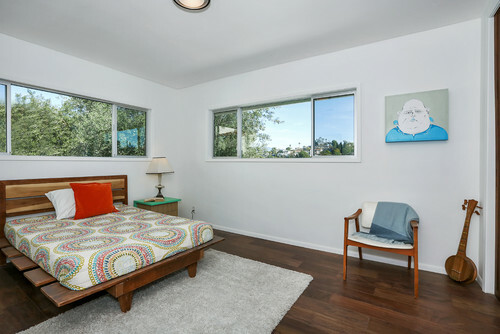 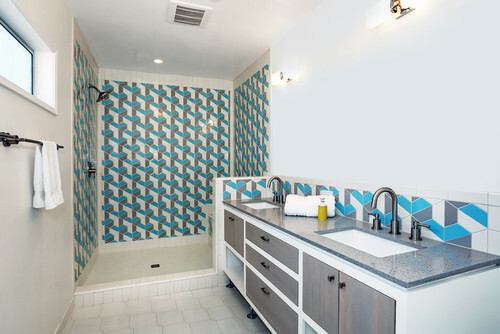 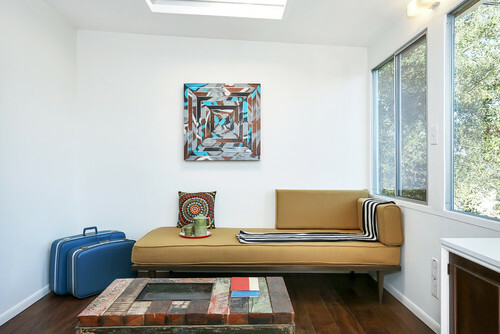 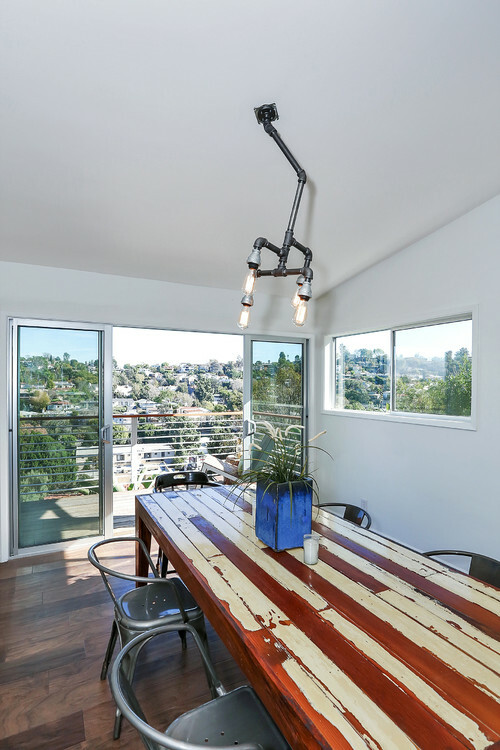 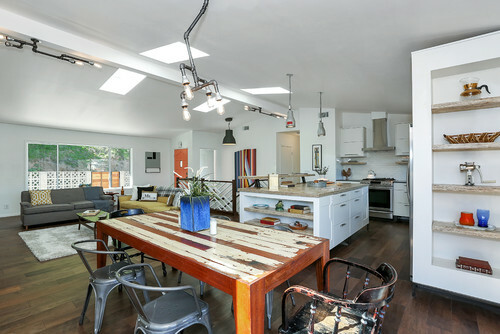 Mid-Century Modern home, meticulously renovated by ReInhabit, has three bedrooms, three bathrooms and sweeping views. 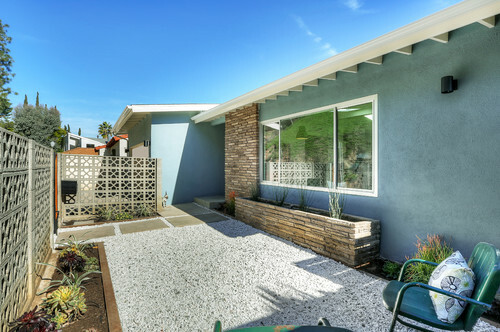 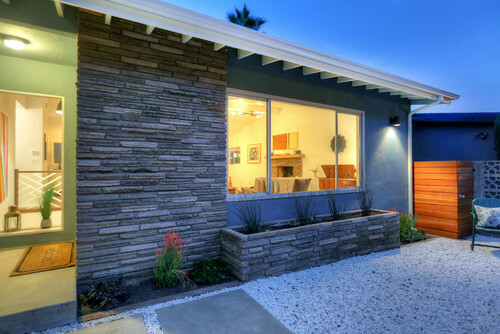 Entry through a breeze block wall leads to a private front patio and drought-tolerant garden. 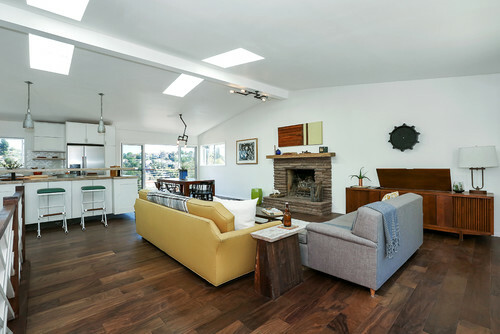 Inside find an open floor plan drenched in sunlight streaming through windows, skylights and sliding glass doors. 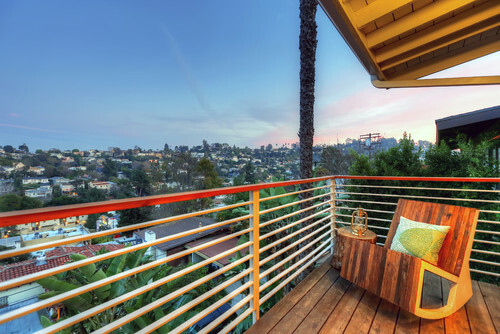 A large rear deck features wide-angle views. 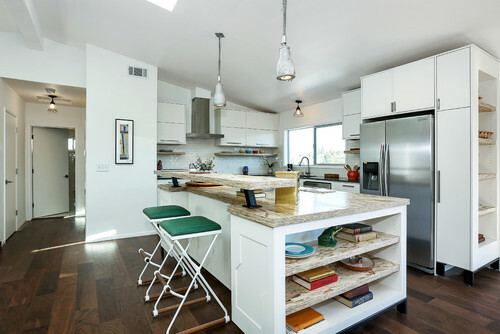 The kitchen includes a huge center island and custom cabinetry.